We're aiming to raise £2000 to help us create an innovative, accessible play and tour it to the Buxton and Edinburgh Fringes as well as to Cambridge and London. We’re really excited to present our show to audiences around the country, but we need your help to get us there! We're a group of students from different colleges and years, led by Alex Hartley and Laura Day (both at Queen's) and Laura Aiton. 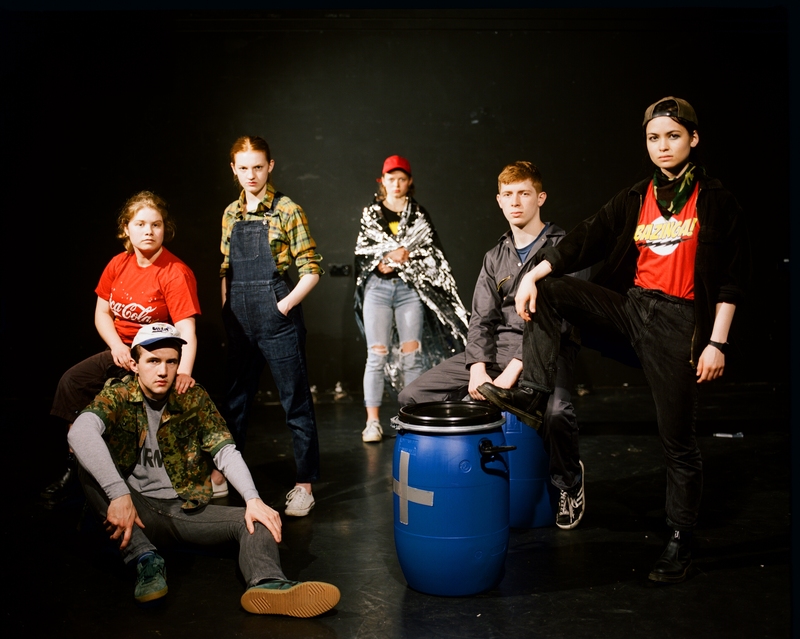 Between us, we have a heap of experience in student drama and a mountain of conviction that student theatre is best when it's accessible and inclusive as well as sophisticated and experimental. 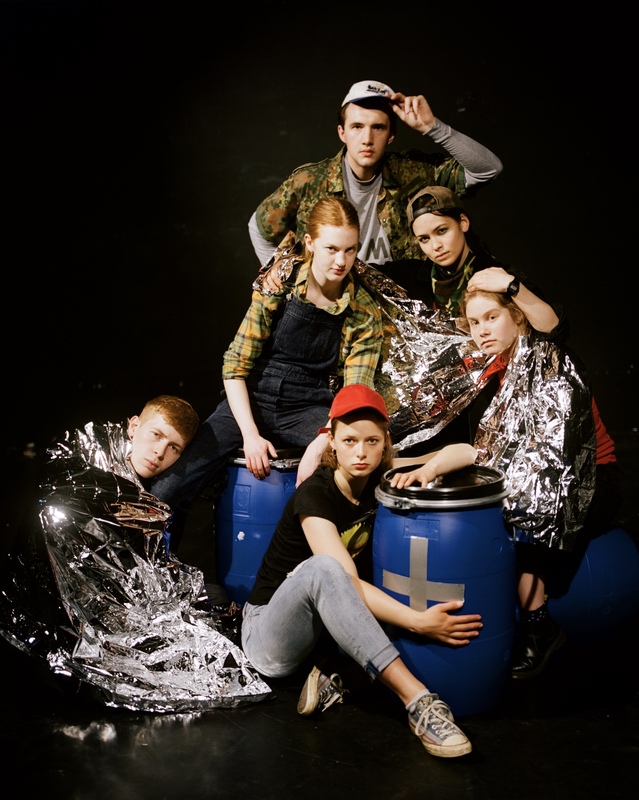 Doom's day is this year's OUDS (Oxford University Dramatic Society) National Tour. For years, the OUDS National Tour has been a platform for taking the best of student drama on tour. This year, we want to add a new focus on accessibility and outreach into the communities we're touring to. 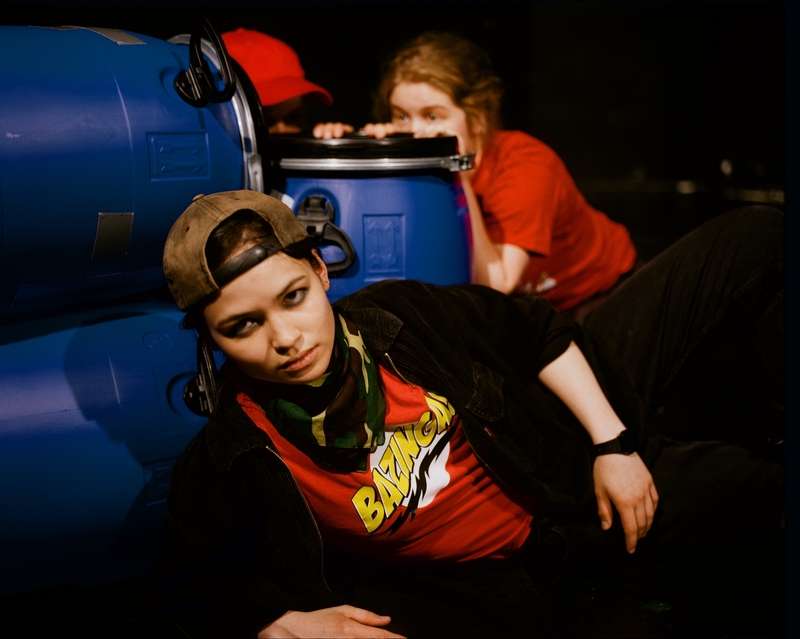 We're performing in wheelchair-accessible venues and presenting Doom's day in several Relaxed Performances – which are specially designed to be accessible to people with an autism spectrum condition, sensory or communication disorder, or special educational needs. In our workshops for young people, we'll be exploring the playfulness of unusual texts through games, ensemble work, and improvisation. By donating – as with any drama crowdfunder – you are supporting the production and accommodation costs for our tour. But you're also supporting a vision of student theatre that strives to be more outward-facing and inclusive. If we raise our minimum of £800 we'll be able to offer free tickets to care-givers coming to our Relaxed Performances. We'll be able to give free workshops to local youth groups in Buxton and Edinburgh. And we will be able to subsidise accommodation for our cast and crew to a base level of around £8 a night during the tour, helping to make the tour financially possible for the participants. Hitting our target of £2000 would allow us to cover all our remaining production, accommodation and transport costs and to create a dedicated fund for access and outreach, which we will use to: cover the marketing costs of expanding our outreach efforts; cover transport costs to hold workshops in areas further out from Edinburgh and Buxton; offer travel bursaries to disadvantaged young people to come and see the play; explore the possibility of BSL interpretation or captioning; and more. If we raised above our target of £2000 and had met all our production costs, we would use the surplus to establish a scheme to dispense grants for Oxford University drama companies to cover the costs of making their shows accessible (whether that be outreach, BSL interpretation, hearing loop adaptation, or anything else), and to offer financial incentives for companies to perform in wheelchair-accessible spaces and in Relaxed Performances. Everything beyond our production costs and our own A&O Fund would go toward those grants, which would be dispensed over the next two years to try to turbo-charge accessible theatre in Oxford. To get regular updates from the rehearsal room and the tour, be sure to follow us on our social media! You don't need to give us money to help Doom's day succeed! Please share this project with anyone you think would support the project – with social media or in person, however it happens, it will help us get closer to our goal. With huge thanks to Richard Taylor for making our video! “THE FLASHLIGHT”: We'll send you a selection of Doom’s day stickers and memorabilia. “THE PEN KNIFE”: You'll receive a selection of Doom’s day stickers and badges, a personalised thank-you letter from the cast and crew, and a mention of thanks in our programme and on our website. “THE COMPASS”: You’ll receive the above, as well as two free tickets to a show of your choice in Buxton, Cambridge, Edinburgh or London. “THE FIRST-AID KIT”: You’ll receive all the above, plus four free tickets to a show of your choice in Buxton, Cambridge, Edinburgh or London. And we’ll send you a detailed report on the tour after we get back. “THE BLUE BARREL”: You’ll receive all the above (including four free tickets to a show of your choice in Buxton, Cambridge, Edinburgh or London). You will also receive in perpetuity a pair of free tickets to every new production and performance by The Wax House. And you’ll receive a personal ‘video diary’ from the cast and crew, in each location, telling you how we are getting on at each stage of the tour.